The .htaccess file is very powerful. Those of you who run your WordPress site mainly on Apache have probably played with your .htaccess file in the past to handle redirects or secure certain parts of your website. You can always edit the file by using the appropriate client. 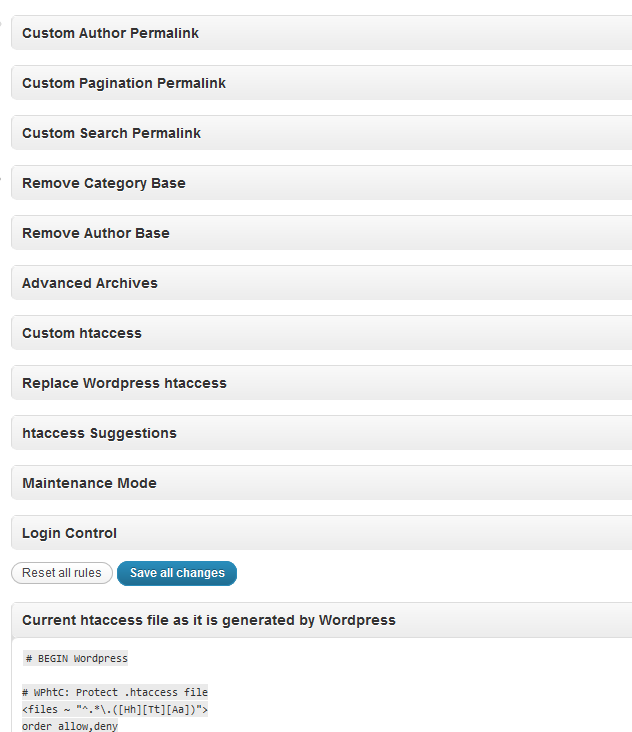 WP htaccess Control is a cool plugin that makes the process even easier. It lets you edit the file and add advanced customizations to it from within WordPress. What’s nice about this script is that you can hide sections that you don’t want to deal with and get them out of your way. 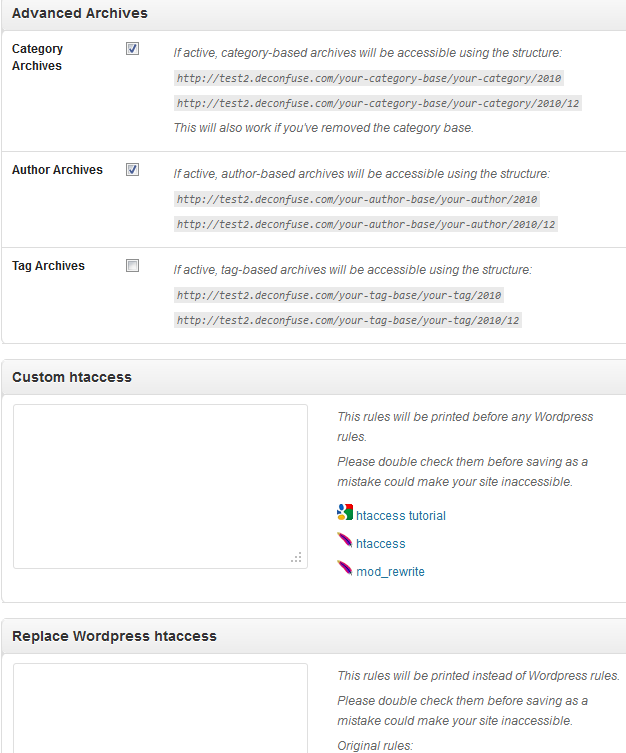 WP htaccess Control also supports your custom rules but you should know what you are doing before playing with it. Once you take advantage of the htaccess suggestions provided and save all the changes, they get added to the file sitting on your server. The script also handles changes to WordPress permalinks (e.g. author, pagination, and search). You do want to make sure your server runs Apache to take advantage of this. For the record, we do not use Apache as our main server anymore, so this plugin is useless to us. But since it does provide us with htaccess rules, we can always convert them to make them work for our web server. This is truly a helpful plugin, especially if you are not an experienced Apache user.